Driving in traffic is more than just knowing how to operate the mechanisms which control the vehicle; it requires knowing how to apply the rules of the road which govern safe and efficient sharing with other users. You need to keep your eyes moving and use your mirrors to gauge upcoming traffic, prepare for turns and watch for pedestrians. You should reduce your speed, when driving too fast, you’re less likely to exercise safe driving basics, notice hazards and remember proper safety manoeuvres. Get your vision checked to ensure you’re able to read traffic signs, see stoplights and drive safely at night. An effective driver also has an intuitive understanding of the basics of vehicle handling and can drive responsibly. So it would be your prudent decision to join the â€˜refresher training courseâ€™ at Dhoot Driving School Haringey, London with programs like LGV/HGV training, PCV training and Driver CPC training. The chief aim of Dhoot Driving School Haringey, London is to ensure your journey reaches its destination safely and securely. The best driving schools offer an entire combine of theoretical as well as practical information to the learner, so that he understands everything to become a professional driver. These faculties are registered with DSA and can train you on each traffic image and the way to use your hand in huge traffic. They will also train you in town driving, road driving and night driving and particularly winter driving. The trainers are knowledgeable, friendly and multilingual so our students get flexibility to communicate and understand the concepts. (i) LGV/HGV training:- This training is meant for the vehicles carrying large and heavy goods only. As the name suggest, the license for this training depends on the weight specifications of the vehicles only. Some of the categories of training that you can avail are C1 Â¬+ E â€“ license (For use if driving any goods vehicle that is above 3.5t and below 7.5t in weight. ), C1 + E â€“ 7.5t + trailer (but gives you the capacity to tow a trailer behind your C1 vehicle), C up to 32 tons, C + E truck and trailer (Any vehicle over 7.5t that has a detachable or separate trailer). The B+E car and trailer training: This training is meant for the towing vehicles only that can be attached with a small trailer. It depends on the maximum authorized mass or the MAM limit. If your vehicle is within the MAM limit, you can avail the B license. 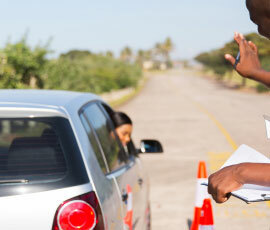 For the vehicles that are more than the MAM limit, you have to obtain the B+E license. (ii) PCV training: PCV is the abbreviated form of Passenger Carrying vehicle training that would permit the qualified course candidate to handle hefty vehicles in classes D1, D, D+E and D1+E. Holding a bus or coach driving licence will allow you to work for a company or organisation driving your vehicle locally, nationally. As a coach driver, you can drive long distance such as a dayâ€™s trip or to holiday destinations. As a bus driver you can drive locally, scheduled services or school services. This training deals with the public carrying vehicles and depends on the number of passengers on board. Some of the sub categories in this training include D1 Minibus, D1+E Minibus & Trailer, D Automatic Bus, D Manual Coach. Of these, the D automatic and the D1- minibus are meant for the manually driven vehicles only. This training program is meant ideally for the articulated vehicles only. (iii) Driver CPC training: It is an essential requirement for all the LGV/HGV certified drivers. This certification has come into effect from 2009 and is a must furnished certification for all the professional drivers. For obtaining this training, you have to undergo a periodic training of 35 hours within every 5 years. And there are the CPC driver theory tests that you have to pass in order to get the certification. Also there are several driver CPC modules and the driver CPC case studies to help you in this regard. For instance, for the initial qualification on the driver CPC certification, you need to pass the driver CPC modules 4 and 2. Also it is worth mentioning that the training vehicles used at our centres are completely equipped with the latest mechanisms like the dual access controls. 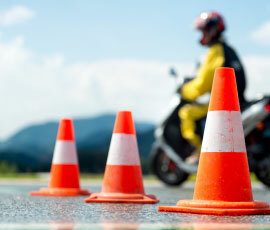 It is a special feature that almost eliminates the chances of any accidents on road while the training process is on. We facilitate you to obtain the driving license by sending the completed forms to the concerned authorities of DVLA on your behalf. All the trainees have to pass the driving test to avail the driving license after completing the training. We also provide pass protection and PCV pass protection service for those who cannot pass the exam at the first time. If any trainee does not satisfy by our service or he/she could not pass the exam, in that case we refund the money. We are eagerly waiting here to incur the expertise in you.